Baltic, Connecticut is a historic district found in the town of Sprague. To protect the people who call this small town center home from the pests that also reside here, turn to the local pest control experts, Big Blue Bug Solutions. For over 80 years, Big Blue Bug Solutions has been protecting homes and businesses from the year-round threat of pests found in New England. We offer services that have been created to address active pest-related problems as well as prevent them in the future. To prevent these pests from invading your property, contaminating your food, and threatening the health and safety of your home and family, contact Big Blue Bug Solutions today to learn more about our affordable and effective pest control options. 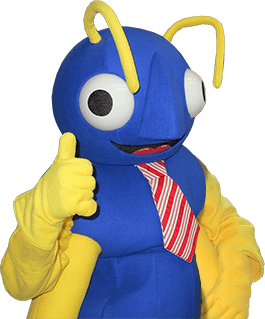 Big Blue Bug Solutions protects Connecticut homeowners from pests through our Home Owner’s Policy (HOP). This highly effective solution to pests provides our customers with three visits per year from our experienced and friendly technicians, preventative treatments, and the ongoing monitoring of susceptible areas. Through this program, we offer a guarantee that if pests become a problem between our visits, we return at no additional charge to take care of the issue. Another benefit of HOP is that you receive our exclusive Blue Glove Service. Our technicians wear blue gloves and blue booties when entering your home, ensuring that your home is as clean after we leave as it was before we arrived. To learn more about HOP or any of our other highly effective residential pest control solutions, including our bed bug solutions, carpenter ant solutions, mosquito and tick solutions, pest insulation, termite solutions, or wildlife solutions reach out to the professionals at Big Blue Bug Solutions today. To schedule your seasonal mosquito services and reduce mosquito populations on your property by up to 90% throughout their entire active season, call Big Blue Bug Solutions today. Reddish-brown apple-seed shaped insects with six legs under and in the seams of mattresses and box springs. Other places they love to hide include in the cracks of walls and wooden furniture, behind pictures and clocks, in the seams of upholstered furniture, and inside keyboards and electronics. Blood spots on bedding, pillows, and linens. Dark black streaks (excrement) on bedding, pillows, linens, floors, and walls. Piles of shed skins under mattresses or box springs or along the floor. A mildew-like smell in the air of an otherwise clean room. If you discover signs of bed bugs in your home, immediately contact the bed bug control experts at Big Blue Bug Solutions. We offer the inspection and treatment services needed to completely eliminate any size infestation from any size Baltic, CT property. Call us today to learn more! The answer to the question of why you need termite protection for your Baltic home is simple, it is because termites live throughout Connecticut and have the potential to enter into any structure at any time. Don’t leave whether or not termites are going to enter your home and cause significant damage up to chance. Put into place a proactive plan to prevent these wood-damaging pests from choosing your home to feed upon. Our termite control services include having our highly experienced professionals perform a thorough inspection of your home and property to accurately identify an infestation. Our professionals will also make recommendations to help make your home and property less attractive to wood-eating, destructive termites. Finally, they provide the targeted treatment necessary to eliminate termites from your Baltic home and property. For even more protection for your home against termites, we offer a one-year termite warranty that can be renewed annually and that can be transferred to new owners in the event that you sell your home. Reach out to us to learn more about our termite control services or to schedule an inspection of your Baltic home!